warranty plus a 100% customer satisfaction guarantee. Each server will be safely packed for shipping in our custom packaging. Cover your HPE rack server with a third party maintenance plan from IT-GEAR. We offer next business day replacement at significant savings compared to the original equipment manufacturer. 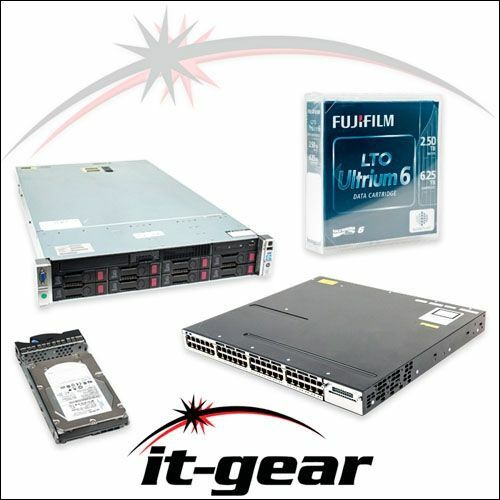 IT-GEAR sells new and refurbished servers at value pricing for data centers and companies with on-site IT infrastructure. We also provide IT Asset Disposition (ITAD) services. This refurbished rackmount server includes dual E5-2640 2.5GHz 6 Core processors, 8 x 600Gb 10K SAS 2.5"drives, 128 GB memory, HP iLO 4, and a P420i/512mb FBWC RAID Controller. Bezel and rails are included. Servers and components are tested and include an IT-GEAR warranty plus a 100% customer satisfaction guarantee. Each server will be safely packed for shipping in our custom packaging. Need a custom configuration or have other questions? Give us a call or start a chat during business hours 8-5 Central time.